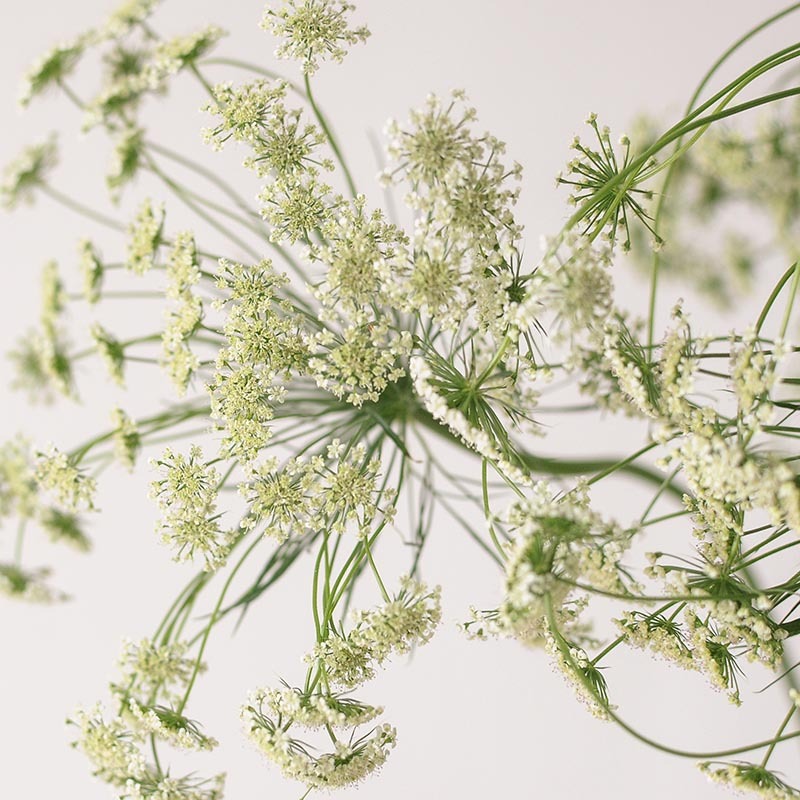 Widely known as Queen’s Anne Lace or wild carrot, these Nile Valley natives feature large round blooms made up of clusters of tiny white florets on tall, slender stems. 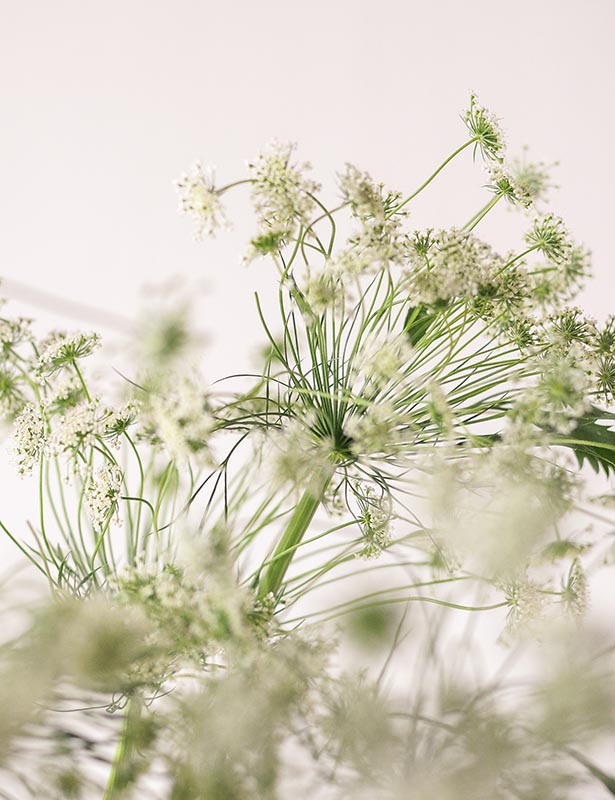 Despite their beauty, they are in fact considered weed and are also a member of the parsley family, related to dill and cilantro. 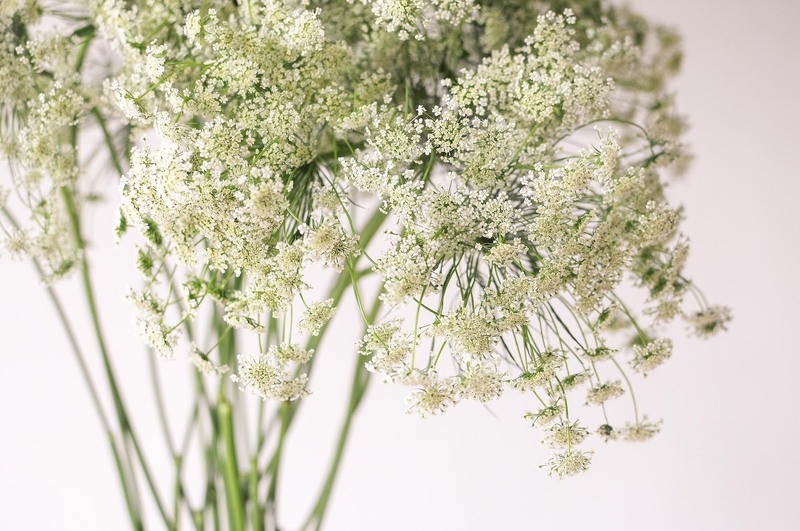 But better known for its floral beauty, and bouncy blooms, the ammi maju adds cheer, depth and movement in bouquets and centrepieces. 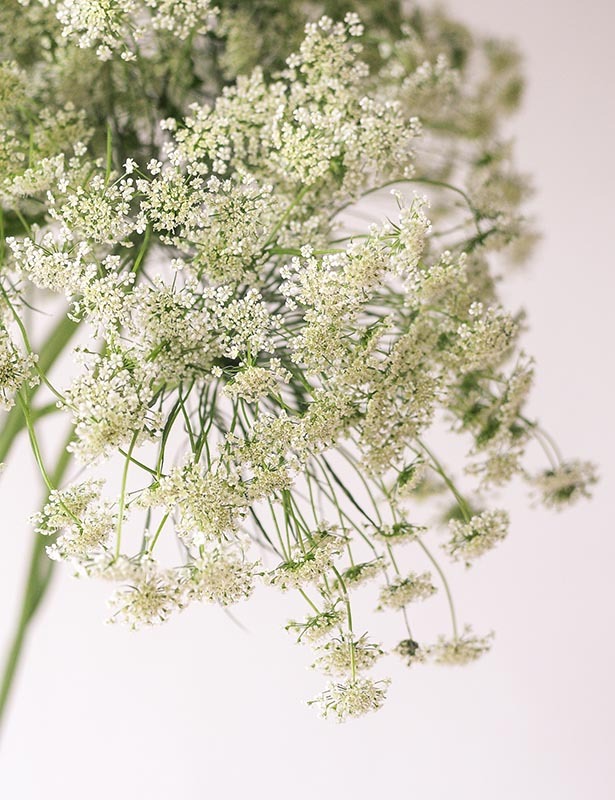 The ammi maju has a vase life of approximately 10 days and will stay beautiful when kept away from direct sunlight, with a fresh change of water and a small snip on the stem daily to create a fresh surface area to better absorb water. 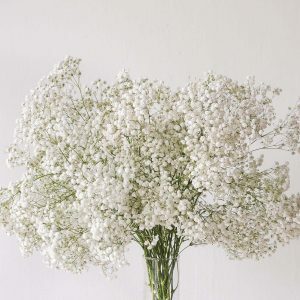 No frills, just flowers. 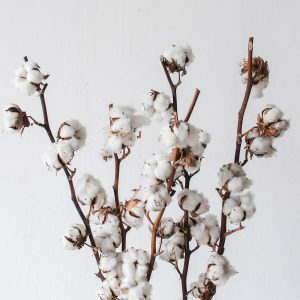 If you are purchasing flowers for your home or putting together your own arrangement, we recommend this minimally-packaged option. 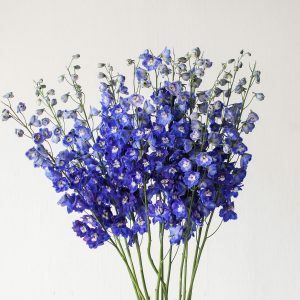 You will receive the flowers already conditioned and ready to be placed directly into a vase. 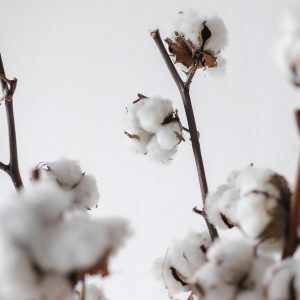 However, market-bundled flowers will not come with a water bag so select this option only if you have an available source of water at your location. Bouquets come wrapped in brown paper with a water bag. 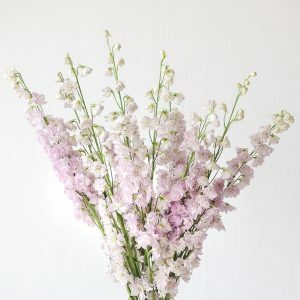 This ensures sufficient hydration for the flowers so that they remain fresh between the time it is put together and when the recipient receives it. 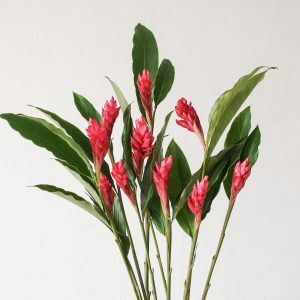 Single variety bouquets make for an impressive gift, and is perfect for showcasing the unique beauty of the variety chosen. 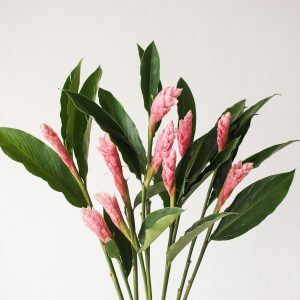 Pick this option if you are gifting the bouquet to a special someone. 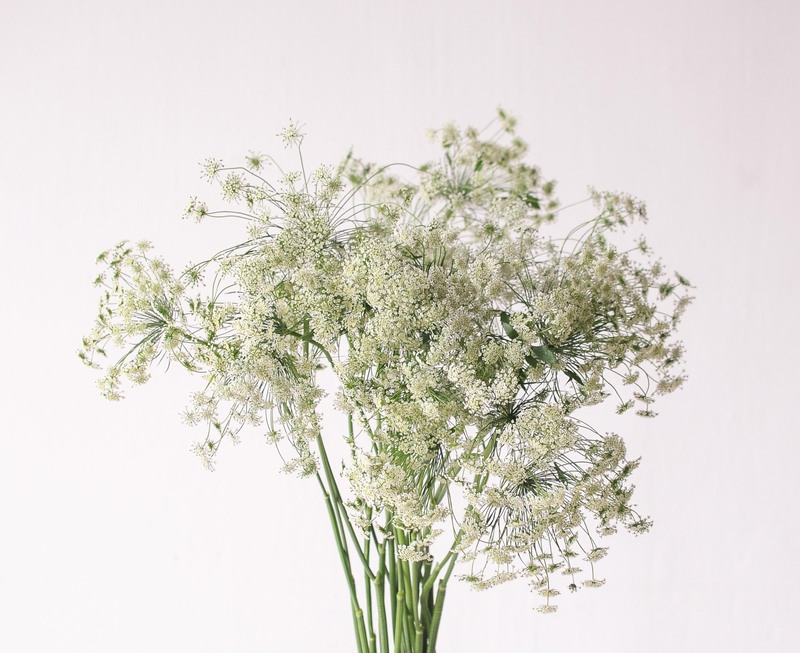 The ammi maju is a tall-stemmed variety, ideal for entrance tables, console tables and bar top centrepieces.